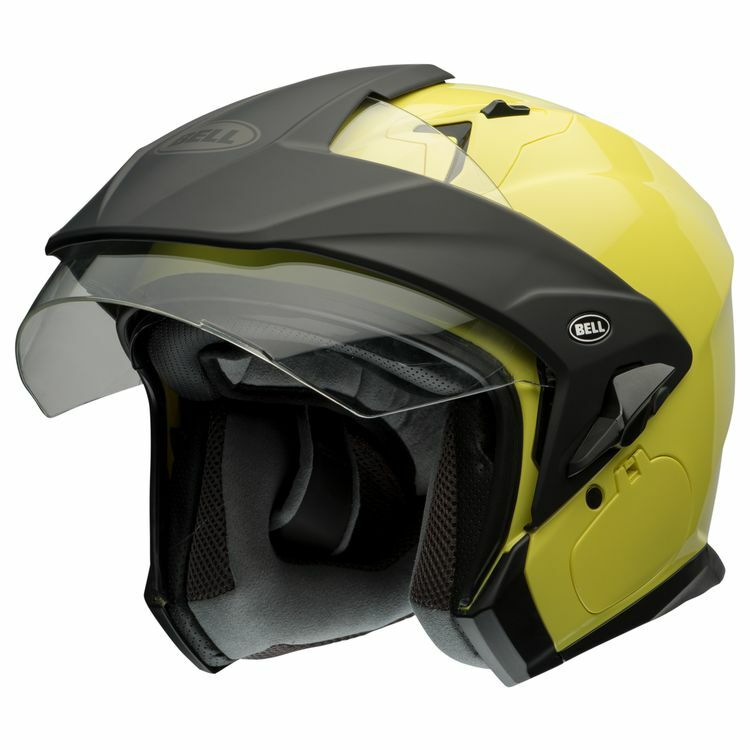 The Bell Mag-9 Helmet is the ultimate in open-face touring. Just about the most feature rich 3/4 helmet on the market, the Bell Mag 9 incorporates a peak visor, clear face shield, internal drop-down sun visor, velocity flow ventilation and integrated compatibility with the Sena SMH10 Bluetooth Stereo Headset and Intercom. With its all-in-one design, the Bell Mag 9 Sena is perfect for riders who like to get on and go, without having to keep track of multiple face shields, sunglasses, communication units, etc. Just pop on the Bell Mag 9 and ride into the sunset. Note: Sena SMH-10 sold separately. Mag-9 Sena SMH-10 Clamp Kit is necessary when using a standard SMH-10, it is not necessary when using the Bell specific Sena kit. Helmet ships with clear face shield.